If you ask me, “What writing style do you enjoy the most?”, my response would be “Murakami style of writing. I have said this numerous times and I won’t shy from saying it all over again, I love how Murakami holds the story together in the most simple words and sentence. I still regale the experience of reading “Norwegian Wood” and “South of the Border, West of the Sun”. Having said this, I plan to read all the Murakami books that are out there in the universe. And with that thought, After Dark made it to my life. After Dark revolves around the events that take place from 11:56 pm to 6:52 am on a midwinter night. The story navigates through the “after dark” times of Tokyo, when the days are shortest and the nights are longest. A bizarre chain of events that a particular set of characters go through the night constitutes the whole story. A Love hotel managers, Chinese prostitutes and gangsters, a young college going girl struggling with a vague identity crisis, her beautiful, older sister who lies in a state of perpetual somnolence but doesn’t die, an optimistic, young man who plays the trombone in a band, an ordinary office worker who turns violent under the night cloak – these are all the interesting people Murakami uses to showcase his kaleidoscopic landscapes. 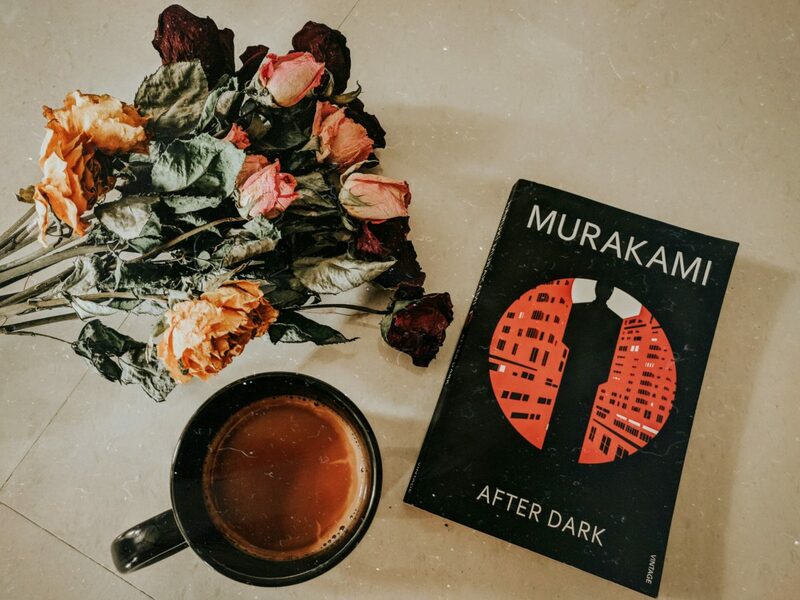 Murakmi is adept in creating a picture with his words and the same magic can be felt in “After Dark” as well. He creates one seductively beautiful vignette after another and combines them together into an interesting collage of the collective human consciousness. “After Dark” is a short read, with just 201 pages you can finish it one session. I have had a good time reading this one and I am going with the rating of 4/5. While at it, please suggest the next Murakami book that I should pick up.